XII, 176 p., 17,6 x 24,4 cm. Complete table of contents. List of sigla in the text corpus of Weigel’s works (writings, manuscripts, printed publications). Bibliography. List of all illustrations. 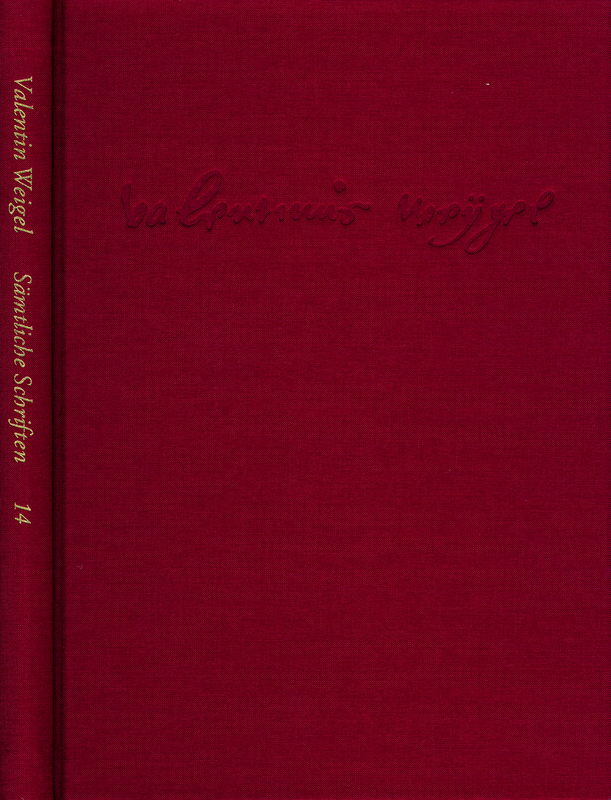 Complete index (persons and anonymous works, Weigel‘s texts, biblical passages). In the interest of making this easy to use, the lists and indexes of all the volumes are combined in one special volume (general index) which constitutes the conclusion of the new edition.